The Lip color is an individually customizable option for TPE love dolls by Doll Forever. Gilly aka Venus (D4E #12) is a female head for TPE love dolls by Doll Forever. 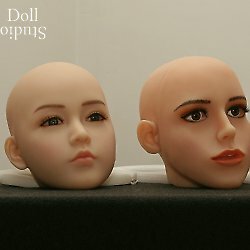 Molly (D4E #18) is a female head for TPE love dolls by Doll Forever.